What contributed to this ‘bloat’ was the narrative part of these reports which showed an almost 400% growth just in the “narratives section”. The reason for that is quite simple: Modern corporate thinking has shaped annual reports from being a boring financial document to an advertisement & and public relations document. The organization of these reports in terms of contents is quite interesting too. Financial statements are usually presented mostly in tables and graphs. Narratives are used to inform the stakeholders about topics like company’s future plans, marketplace situations, customer based opinions, corporate social responsibility activities, competition situations etc. There is also growth in the number of imagery of management photographs, facilities building that has contributed to the increased size of these documents. 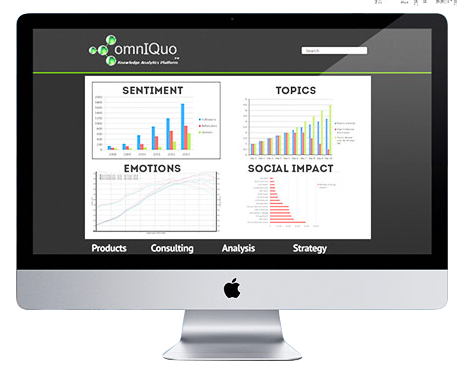 The above challenges shows why Artificial Intelligence and Cognitive Computing based systems like OmnIQuo can make a significant difference in the financial analysis of companies through their annual reports as well as other channels like news, analyst reports, user generated content on social media giants and microblogs. 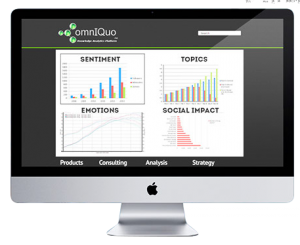 omnIQuo Knowledge Analytics engine offers a psychological analysis of content making it possible to extracts things buried in long verbiage narratives like market perception , corporate reputation and attitudes of investments in a particular share or mutual fund. Entity and entity roles definition as well as events reference. Psychological analysis in terms of Affects. Annotation for quick reference of all that was extracted. State-of-the-art sentiment understanding based on Affect and co-referenced to entities (people, product, companies) as well as events and full narratives. Multi-document analysis and their intersecting relationships being on Narratives, events, entities, topics and affects. In Summary omnIQuo’s A.I. engines can automatically read documents and extract their key points, narratives, events, affects, multi-document references and predictive information. This capability helps to reduce and optimize research and analysis time by focusing on key stated facts and topics in an otherwise heterogeneous group of reports and investment data.